Positive are the further decreases in the seasonally adjusted insured unemployment, for the week ending May 25 the number was 2,952,000, a decrease of 52,000 from the preceding week’s upward revised level of 3,004,000. Negative is the slight -1.1% downward trend of this week’s 5 day average of the S&P 500. 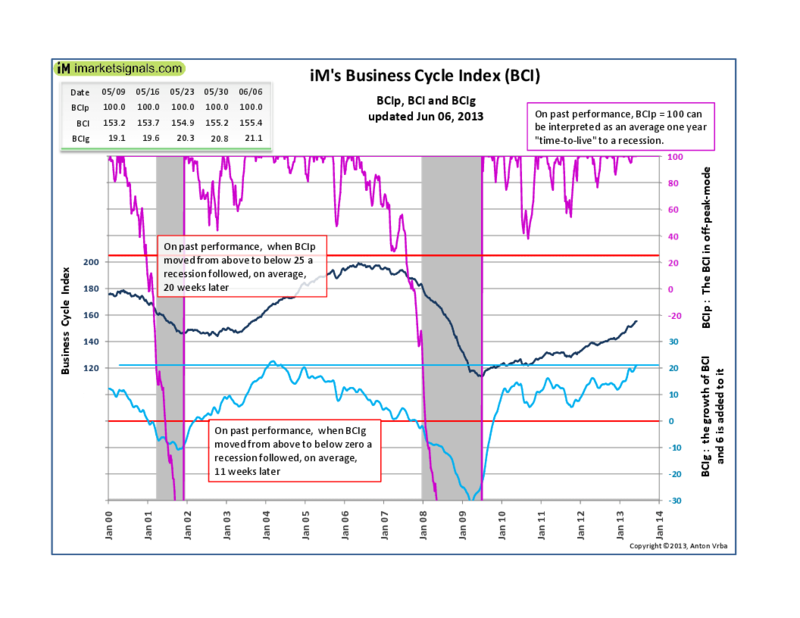 The BCI marginally increased to 155.4 and the BCIg further increased to 21.1; both signalling a economy far from a recession.